The undercover officer infiltrated a group of animal rights activists and released a number of mink from a fur farm in 1998. LONDON’S METROPOLITAN POLICE has issued a formal apology to Hampshire Police, for actions committed by one of its undercover officers 20 years ago. Hampshire Police investigated an incident in August 1998, when animal rights activists released a large number of mink from a fur farm in Ringwood. One of those who committed the crime was “Christine Green”, who had infiltrated the Animal Liberation Front and London Animal Action between 1994 and 1999. The Met said it appears that Green was authorised by her line manager – potentially up to the rank of detective superintendent – to participate in the criminal act. The undercover unit at the time decided not to tell Hampshire Police, who carried out a criminal investigation in the wake of the offence. It wasn’t until 2014 that Hampshire Police was told by the Met Police about the events. After it was ruled that the woman’s “cover name” could be released, the Met said it was in the public interest to release details of the case. 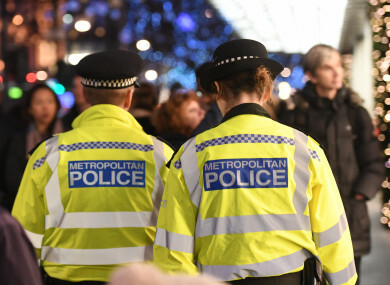 Assistant commissioner Helen Ball said: “The precise circumstances of the decision to authorise an undercover officer to participate in this criminal act will be fully explored as part of the public inquiry process. I would like to be clear that the decision-making surrounding this incident would simply not happen in today’s Metropolitan Police Service. I do understand that this decision-making from 20 years ago will cause significant concern to the public, especially those people directly affected by the events in 1998. The MPS will be honest about our past and accept criticism where it is due. After the launch of an investigation in 2014, the Crown Prosecution Service decided in February 2016 that there was “insufficient evidence to provide a realistic prospect of conviction”. Email “Met Police apologises after Hampshire Police investigated crime an undercover officer committed”. Feedback on “Met Police apologises after Hampshire Police investigated crime an undercover officer committed”.